AEW is in exclusive association with M/s Saville Energy USA for the complete design, supply,installation , testing & commissioning of TES Tanks for entire Middle East. The founder of M/s Saville Energy Mr. Paul M. Saville BSc. (Hon), C. Eng., M.I.Mech has more than 30 years of global project management and engineering experience in Turbine Inlet Air Cooling (TIAC), District Cooling, Low Temperature Refrigeration, District Energy, and Power Generation applications. AEW is associated with established large scale fabrication companies to install the TES tanks on site. 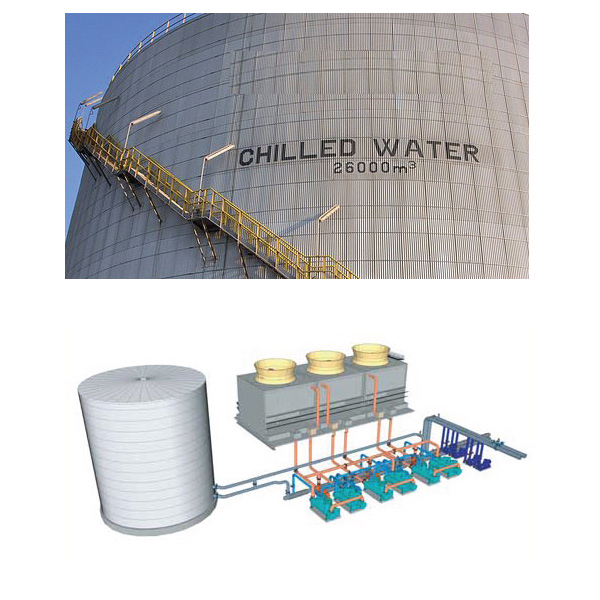 AEW Thermal Energy Storage (TES) chilled water storage tanks are constructed of steel and can be installed either above or below the ground.